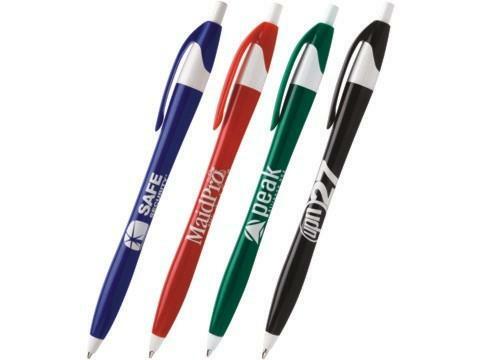 Vibrant executive colors with bright white accents give maximum imprint impact. Guaranteed ultra-smooth writing cartridge and top quality construction make this one to hang onto. Black or blue ink, blue ink default.